Thankfully, the unseemly Matt Manweller saga has been put to rest, as has Manweller’s career as a state representative from the 13th District. 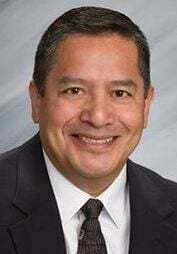 But we are thankful, too, that the commissioners from the four counties in the 13th — the district includes a sliver of Yakima County — made what appears to be a solid choice to appointing Quincy resident Alex Ybarra to fill Manweller’s seat. Though we would have liked the process to have played out differently — with Manweller resigning last summer, in time for a replacement Republican candidate to be placed on the ballot — the 13th seems in capable hands, given Ybarra’s impressive resume. Ybarra, 56, is a compliance auditor for the Grant County PUD. Before that, he served as an engineer and scientist with the Rocket Research Company in Redmond. More importantly, perhaps, he has experience in the public sector. He served on Quincy’s school board and was its legislative representative. He was appointed by Gov. Inslee to a spot on the state’s Commission on Hispanic Affairs, and he also was a director on the Washington State School Board Association. So, essentially, Ybarra checks off many of the boxes that voters in the 13th would want in a representative. A Republican who has worked on nonpartisan commissions as part of his wealth of public service, Ybarra perhaps can reach across the aisle and, unlike the hard-nosed Manweller, work well with Democratic legislators in issues important to this region — water, funding equity for rural school districts, to name just two. Voters will get a say on Ybarra come November when he will run for the seat against former state Legislator Ian Elliott, who also bid for the appointment. Elliot is supported by Manweller. About that personal story: It’s impressive. Ybarra is the son of itinerant migrant farm workers who in the 1950s and ‘60s picked potatoes on the “circuit” that moved from Texas to California and up to Oregon and Washington. His parents eventually settled down in Quincy, where Alex was born. The family spoke no English at home and, in that era, only English was allowed to be spoken in school classrooms. By the fourth grade, he was struggling in school because of the language problem. He failed a reading test and was put in a special education program. After three months, he returned to the regular classroom and, by eighth grade, became fluent in English. But Ybarra’s acumen turned out to be in mathematics. After graduating Quincy High School in 1979, he earned a bachelor’s degree in math and later an MBA from Gonzaga University in 1985. His professional career began shortly thereafter as an engineer and scientist in Redmond working on, among other projects, space shuttle hardware and cruise missiles. So, even though it doesn’t take a rocket scientist to be in the Legislature, it can’t hurt. While new state Rep. Alex Ybarra is a freshman legislator, he is no stranger to many in Olympia.